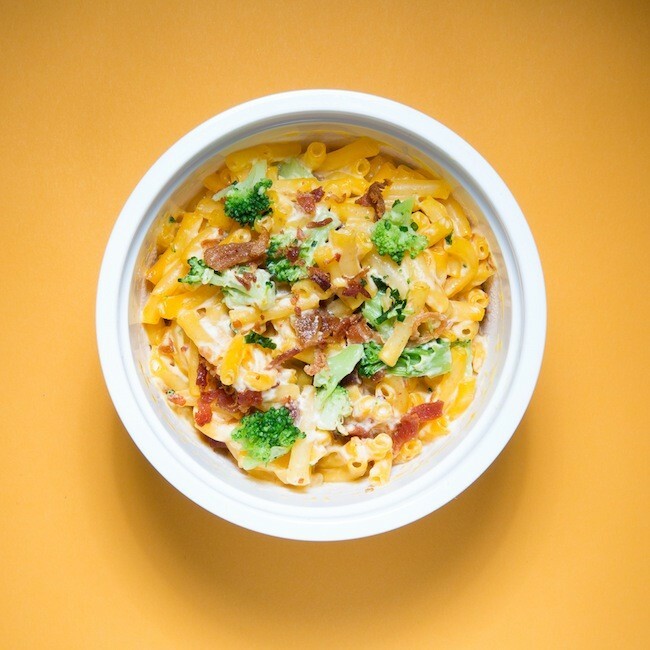 Deliciously gooey, marvelously inexpensive and incredibly easy to prepare, microwaveable mac and cheese is a destitute college student's dream. But as all mac and cheese fanatics know, the dish -- all starch and straightforward faux-cheesiness -- can get old pretty fast. 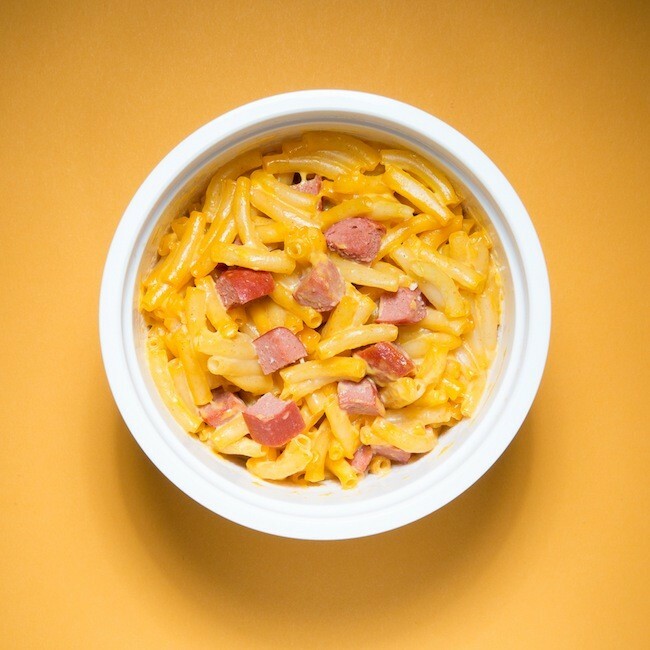 To challenge the inevitable macaroni malaise, Target's blog A Bullseye View recently posted 9 genius "mac hacks" -- easy recipes that promise to add more oomph to that microwaveable dinner. 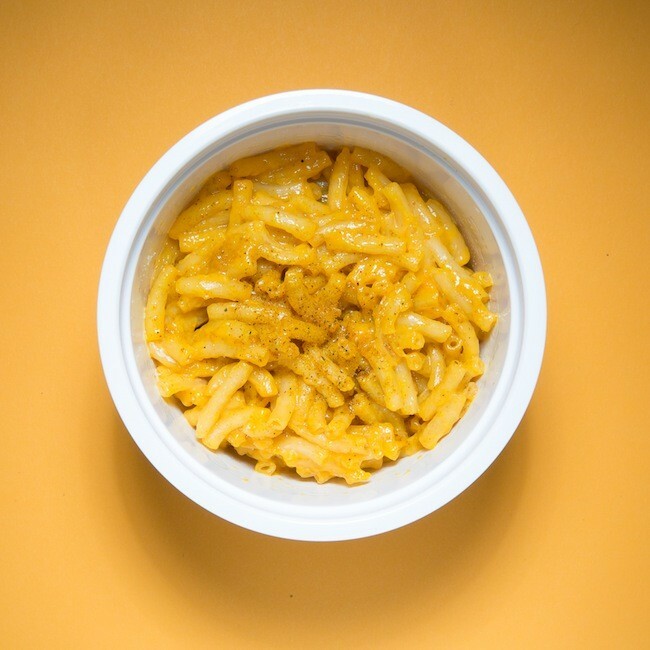 A few college kids put these "mac hacks" to the test and rated each recipe -- all of which star a bowl of microwaveable mac and cheese -- from 0-5. Recipe: Make mac and cheese using coconut milk instead of water; stir in curry powder. “Unexpectedly good! This could easily pass as a gourmet dish,” said Becky, a student at Washington University in St. Louis. Recipe: Stir in sour cream, chives, bacon crumbles and cooked frozen broccoli. “Hearty and delicious—what’s not to love?” quipped Becky. 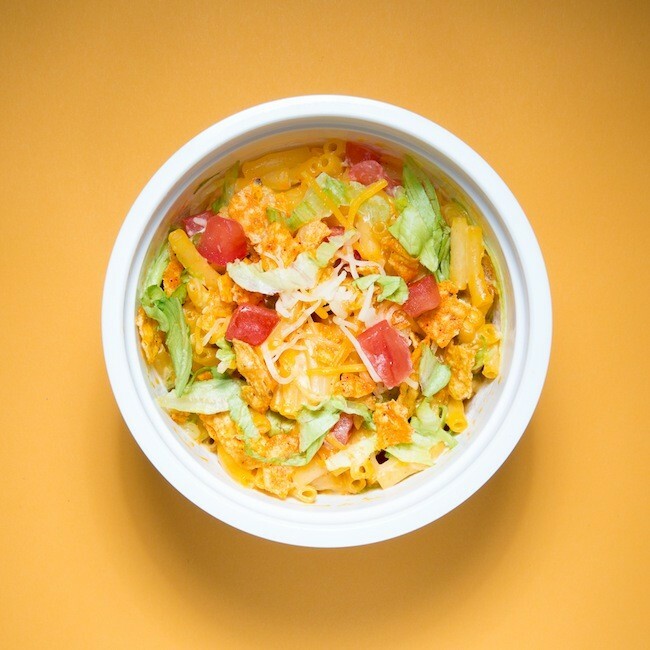 Recipe: Stir in crushed Doritos chips, Mexican cheese, shredded lettuce and chopped tomatoes. 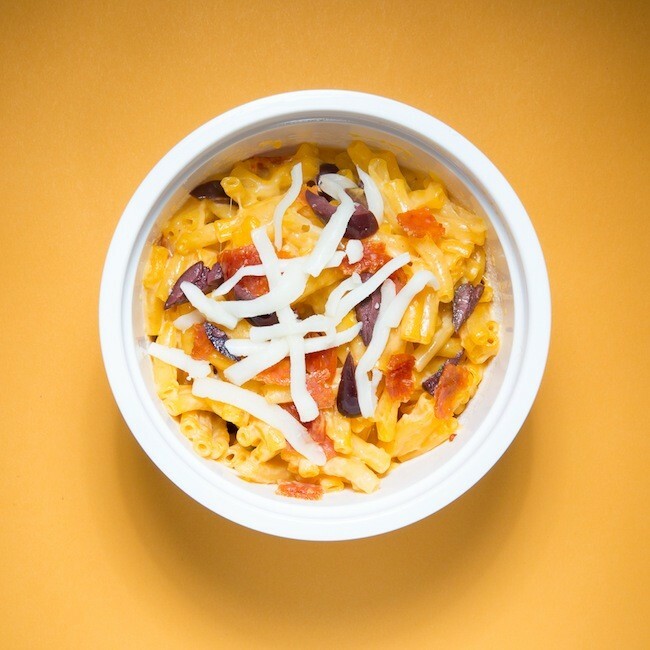 “Mexican mac n’ cheese -- love it,” said Princeton University student Charles. Recipe: Stir in pepperoni slices, shredded mozzarella cheese and sliced olives. “Nothing like a pizza but I’d snack on this again,” said Charles of the meaty meal. Recipe: Stir in hot dogs and yellow mustard. “Classic American ingredients make this an instant home run,” said Becky. For all 9 recipes, go to A Bullseye View. 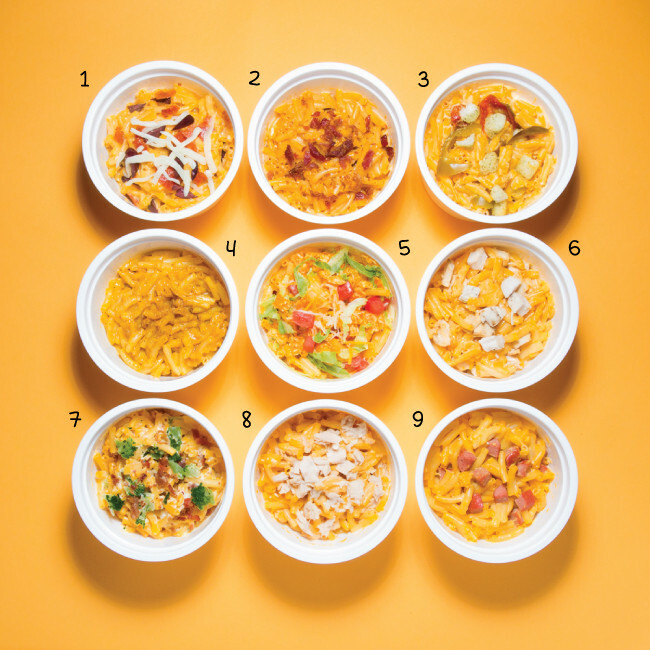 Have a favorite mac and cheese recipe? Share it with us in the comments below! Not every step toward a more nutritious diet has to taste like one. Forget the steamed broccoli and try incorporating more <a href="https://www.huffpost.com/entry/colorful-fruit-and-vegetables_n_1323881" target="_hplink">great-for-you greens</a> into your favorite meals you're already making. We asked the experts to share with us some of their favorite sneaky ways to get more greens. Here are some of their most drool-worthy suggestions.